Warren Joyce has been a disappointing appointment by Melbourne City. Sure, he made a semi-final last year (his first) and a fairly solid top four league finish. That placing matched City/Heart’s best ever finish in their eight year history. On these facts alone, “disappointing” may seem an unfair characterisation. But sadly, as a tactician and a man manager, Joyce is far below the quality the “City” brand can and should afford. He has turned City from an exciting attacking team with deep pockets into a collective of mismatched players sputtering between fixtures. The recent Round 3 matchup with Sydney FC – and rookie manager Steve Corica – could not have spotlit enough that Joyce is just not up to it. As good as Sydney’s squad is, they are not City’s parent club in Manchester. Where Sydney excel is through their fullbacks – in particular deep assists from Michael Zullo – and if their front 4, in particular Milos Ninkovic, get space or time on the ball they can find a killer pass. The central midfield – Josh Brillante and Brandon O’Neill – are good on the ball without being inch perfect passers, and can be susceptible to a press as Adelaide United proved twice in as many weeks. Indeed, Joyce needed only to review Adelaide’s very recent efforts for some tactical ideas on how to set up his team. Alas, for City, Joyce seemed not to bother. He sent Dario Vidosic up to support Bruno Fornaroli, and had Riley McGree playing on the right, asking him to follow Zullo on the touchline in defence, while also cutting in to the top of the box while in possession to interplay with the front two. Effectively that created a lop-sided formation that dealt directly into Sydney’s hands. It exposed absolute acres on the left for Zullo and pump crosses in, and left Richie DeLaet one-on-one with Ninkovic, who pulled into this space as often as he could. In the centre of the park Kearyn Baccus – an uninspiring new signing in the ‘Joyce mould’ – had little idea where he was meant to be (sometimes he pulled back to mark Ninkovic), and more often he was jogging around wondering if he was meant to come-up and support the press or look over his shoulder. The press itself often just turned into Vidosic chasing the ball, and Fornaroli jogging into position – a far cry from Michael O’Halloran and Ryan Strain at full tilt. The lack of attention to the Sydney left also had the perverse effect of playing to Sydney’s strengths on the right, where they wanted to have an extra player (Paolo Retre). On the side of AAMI Park where City did have men, neither of them wanted anything to do with their opponents. New left winger, playing as a conventional left winger, Florin Berenguer must have been so put off by Rhyan Grant that he didn’t want to be photographed near him. No one seemed to know who was watching Paulo Retre, who scored one of Sydney’s three and got an assist for the other. He certainly wasn’t being marked by Luke Brattan, whose role in midfield could have adequately been replaced with a witches hat. Both Retre and Grant had the games of their lives, played into form by a City line-up completely tactically taken to school. After eight full years in the A-League and one good FFA Cup run, it’s time we expected more from Melbourne City. It might seem like tough love for a club so young that, by international club standards, it’s not even had a chance to evolve into Tinder date between its eventual parents. It would be very unkind to level this disappointment at a club still owned by a Peter Sidwell group with a name inspired by Captain Planet (or all-girl power rock ballads). But given the sugar daddies who took a shine to this from-the-block club from Melbourne, we football fans are entitled to wonder what we gave up to the City Group, and what they have given the A-League in return. When the City group arrived in 2014, things started to turn for the beleaguered Heart: starting with the wage bill. Cash can seem to paper over cracks in football, and in 2014-15 the new incarnation of Heart featured the big ‘City’ names we were promised – despite David Villa’s brief spell. What worked better was the scouting of other names and the pulling-in of favours from around the City network. Starlet Aaron Mooy was brought in to run John van’t Schip’s system and things clicked. When Uruguayan Bruno Fornaroli was signed in 2015 they made their second straight semi final off of his 28 goals and he looked, legitimately, to be the best number 9 we had seen in this country (or at least Besart Berisha’s equal). While they hadn’t won a premiership, they could be seen to be on a relatable ‘City’ pathway. Get rich. Buy the best players you can convince to join your club. Get trophies. What better way to manifest this idiom than signing ‘The Legend’ Tim Cahill. City didn’t need another striker (and by this point in his career that’s all Cahill was), but they brought him in anyway, mainly because they could. It was the kind of bold move that made everyone take notice. On the pitch the Cahill signing could not have started better, with his looping long range goal from a million miles out. And the start of the 16-17 continued to be bright with the FFA Cup win – the club’s first (and only) silverware. But the off-season departure of Aaron Mooy to Huddersfield-via-‘the Mothership’ was papered over with Luke Brattan and Neil Kilkenny – neither in Mooy’s class. To compensate for no Mooy and two expensive forwards van’t Schip started turning a dangerous shade of Oranje. City became a kind of weird science experiment in zero defending, as Neil Kilkenny was sometimes used in the centre of defence. Before the season was over van’t Schip had returned to the Netherlands (for legitimate personal reasons it should be added) and his temp Michael Valkanis lost more games than he won. The long term replacement for van’t Schip was the generously described ‘journeyman’ manager Warren Joyce. Joyce had been tinkering around the Manchester United backroom (including with feeder club Royal Antwerp) for ten years before taking his first proper job at Wigan Athletic in late 2016. He was sacked after four months and Wigan were relegated to League One later that year. What better credentials to be given the reigns of an ambitious Australian club, featuring the national team’s greatest ever scorer and a former league Golden Boot. Immediately Joyce set to work to remove any traces of Oranje. He brought in as many defenders as he could find – while also, ironically, marginalising promising Olyroo Ruan Tongyik – and pushed centre back Michael Jakobsen into the midfield with Brattan. Cahill and Kilkenny were sacrificed as they weren’t willing or able to do the heavy slog forward of the ball that Joyce wanted. 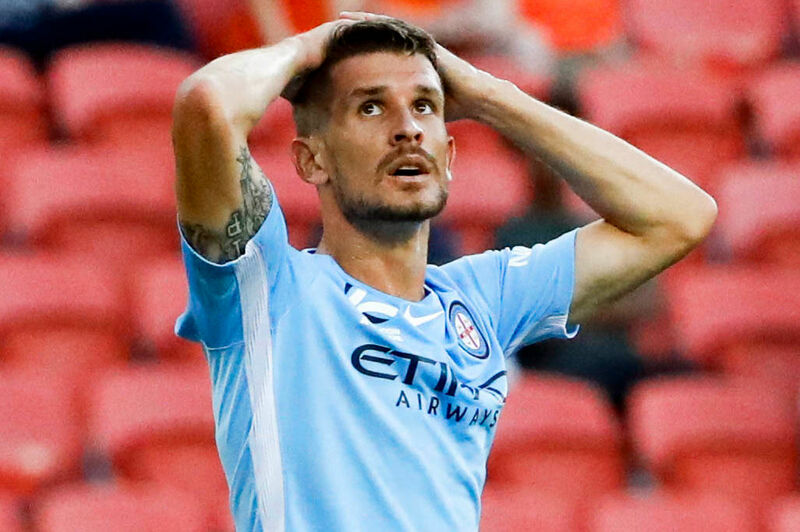 When Joyce demanded more predictability, he brought in faded Socceroos Dario Vidosic and Oli Bozanic to continue their perverse game of A-League hot-potato. Ross McCormack – his ‘marquee’ loaned in through the deep City connections – lasted only a few months as the handcuff to injured Fornaroli. The story of Joyce’s first season was invariably narrated by the extraordinary emergence of Daniel Arzani who, by the end of the season, was practically City’s plan A, B, C and D. Just about every transition featured Arzani irrespective of whatever touchline he was standing next to. 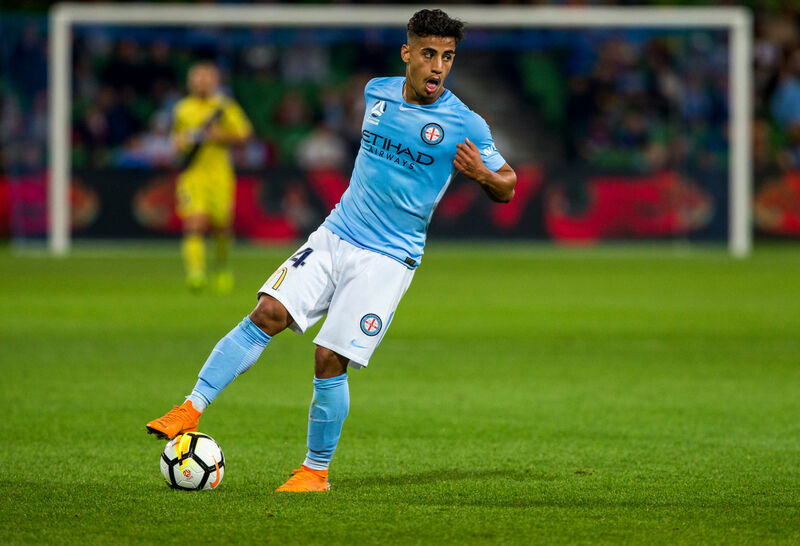 The importance of Arzani to City was so significant that we frequently saw Vidosic – a World Cup depth player in 2010 and 2014 – playing a decoy role for him. Results in his first season in charge were a qualified ‘ok’. A semi-final was reached after first eliminating a tactically insipid Brisbane Roar (and former disappointing Heart coach John Aloisi). But the semi final underlined their gulf in talent as (despite going ahead against the run of play), Newcastle deserved to come out on top and be featured around the world on highlight reels thanks to Riley McGree’s (now of City’s) equaliser. Matters weren’t helped that Arzani was being kicked around the park by Newcastle with little to no support. After a while even the refs started to ignore it, and Arzani was robbed of a penalty in the first half with a blatant kick that even VAR missed. Joyce had forgotten rule one of his own English football pedigree – if you rely on young players, you need a Roy Keane to frighten the opposition into letting them play. 2018 rolled around and Joyce has learnt nothing. With Arzani gone and Fornaroli over 30, Joyce is taking an inferior squad into a Premiership they were already mediocre in. His Arzani replacement is Riley McGree, and while his masters – Club Brugge – hope he turns out to be as good as Arzani, he is a very different player and not anywhere as individually damaging with the ball at his feet. McGree would be more effective with cover in a box-to-box role – but Joyce wants his midfielders to sit deeper – like Brattan and Baccus – and wants his wide players to do the running-in (like Arzani excellently did). And in that typical Anglo way, because Vidosic is tall he wants Dario to be the player running into the box to get onto crosses. Tactical inflexibility will mean McGree will be used in weird roles this season, and probably not get the best out of himself. Luke Brattan represents a sad story. Once a fine prospect flirting with opportunities in Europe, he is now playing like a guy who has given up on a more expansive carer. He seems resigned to the A-League and, like James Troisi, seems likely to wind down his career by no longer being considered for the national team. Credit to Oli Bozanic – he saw the writing on the wall with Joyce and found a contract in Edinburgh to fight for an recall from Arnie. Warren Joyce was at the time the wrong appointment for a side with the resources (and squad) of City. His experience suggested a middling football league career England, not a figurehead for the City group. He didn’t have Football League successes he could point to before joining City, outside of keeping Hull in the old fourth division 20 years ago as player-manager. 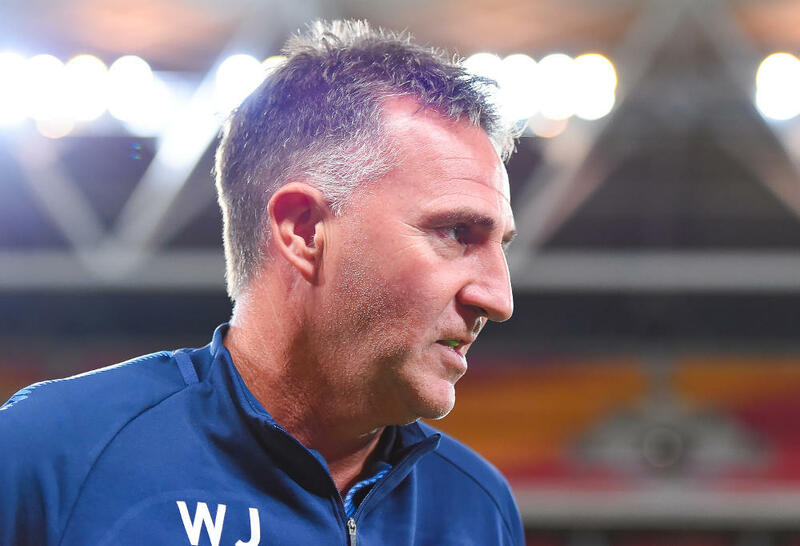 Successful seasons managing in League One or Two might be good pedigree for A-League positions, but Joyce can’t demonstrate success in running his own team in his own image and with his own ideas. If he was hired to groom young talent for City rosters around the world, then the Arzani example seems more lucky coincidence than part of a plan. Even worse: if he was hired to win the league, then he has shown that he is categorically not up to it.